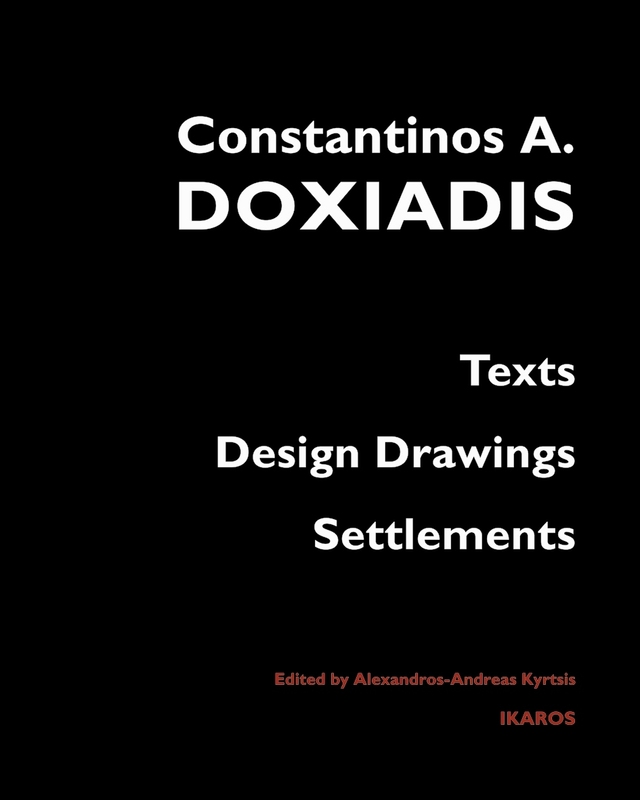 The main body of this volume on the architect and urban planner Constantinos A. Doxiadis, who was a key figure of the first three decades following the Second World War, comprises a selection of his theoretical texts on urban planning and architectural design, accompanied by design drawings and photographs. The introduction by the editor sets the stage for a discussion of the direction and the underpinnings of his ideas, as well as for the understanding of his highly individual personality and the position of his extremely active working life in the historical context. There are only few urban planners worldwide whose work is comparable to that of Constantinos Doxiadis. The vast numbers of his master plans, the variety of his projects, the vitality of his publications and his international presence with projects in Asia, in Europe, in Africa, in Latin America and in the US, place him among an exclusive group of the major representatives of spatial planning. The picture created by the extracts from his writings, reprinted in the first part, is then enlarged upon through an illustrated account of his life and projects in the second part of the book, complemented by a full list of his publications. This volume is a valuable companion to those who seek the understanding of the world of grand planning and spatial design in the period 1945-1975 and is addressed to all those interested in recent architectural and planning history, as well as in the history of the connection between geographical ideas, diagrammatic reasoning and planning. It is also addressed to all those interested in spatial aspects of processes of socioeconomic development, reconstruction and related policies.